There are some students who set the bar. They work harder, show more passion and lead by example—in the classroom, on the field and within the community. 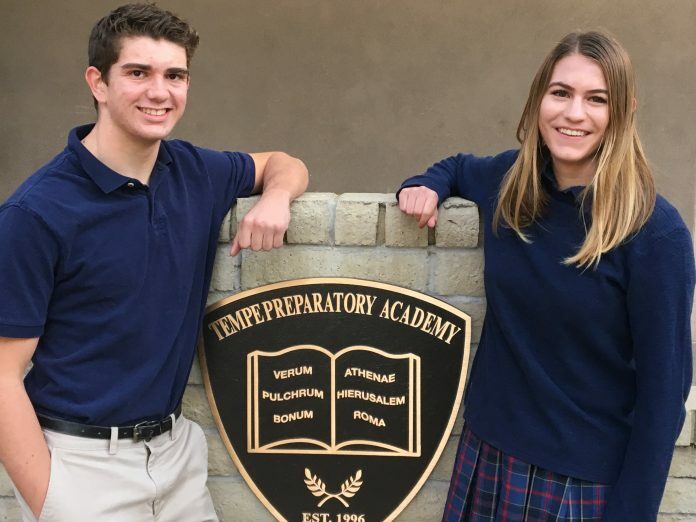 Wendy’s High School Heisman recognizes Tempe Prep seniors Carter Sampson and Katherine Camberg and their dedication to never cutting corners by naming them School Winners. “These students are known by their teachers and friends for their commitment to excellence. 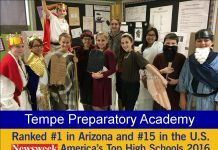 We are excited and honored that a program like Wendy’s High School Heisman is also recognizing their hard work,” said Tempe Prep’s Headmaster, Dr. Wayne Porter. Camberg is a Tempe Prep senior and has competed four years in varsity pole vault. Her PR is 9’8” and she has qualified for the state meet every year. 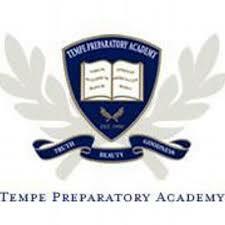 Camber also ran for Tempe Prep’s cross country team for three years and qualified for the state meet individually each year. This year Camberg is focusing solely on pole vaulting and hoping to vault in college. Excelling in academics at Tempe Prep, Camberg is a National Merit Commended Scholar and a reporter and Senior Editor for the school newspaper. She spent her summer in India and hosting students from India and Timbuktu through the award-winning Tempe Sister Cities Exchange Program. School Winners will receive a School Winner certificate and a Wendy’s High School Heisman Patch. State Finalists will receive a bronze medal, a Wendy’s High School Heisman State Finalist patch and a $25 gift card.